Parking lots and private homes. 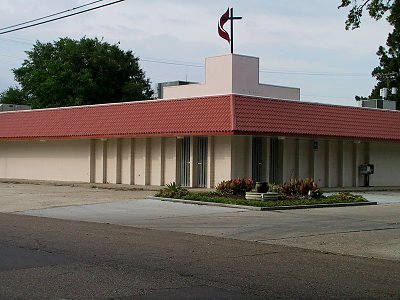 Built as a new location for Taylor's Drug Store, now used by the First United Methodist Church. 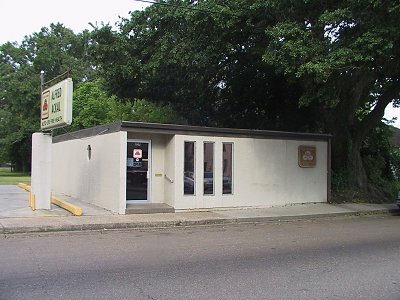 This nifty little commercial building now houses a barber shop and a dog groomer. 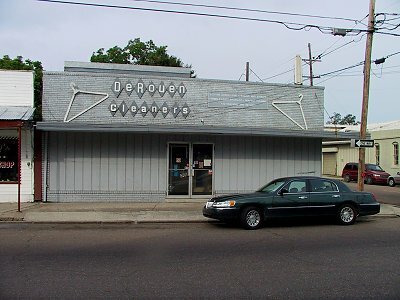 DeRouen Cleaners, where my shirts get starched. 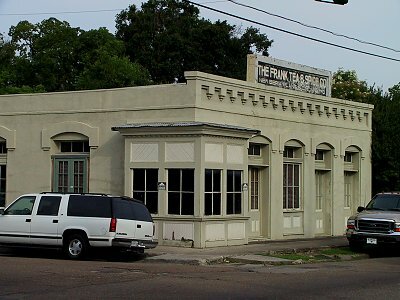 May 25, 2001 Jefferson Street to Railroad Ave. When I lived just down the street from here, we used to love the parsley processing cycle; occasionally we would receive a gift of herbs. 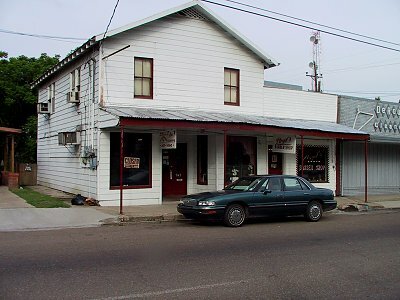 When I was a kid, there was a feed store housed in this old town house. 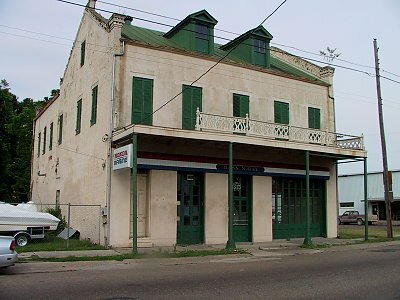 The downstairs always seemed so cool. My sister had a horse, and this is where it got its oats. 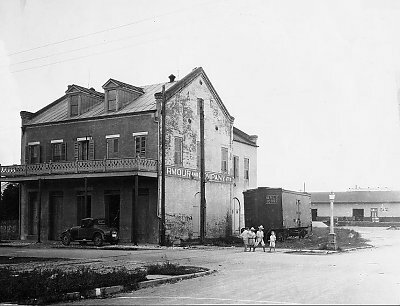 Historic: Same building in an earlier use.